A week of service learning outside the traditional classroom is an important component of the academic program at many international schools. 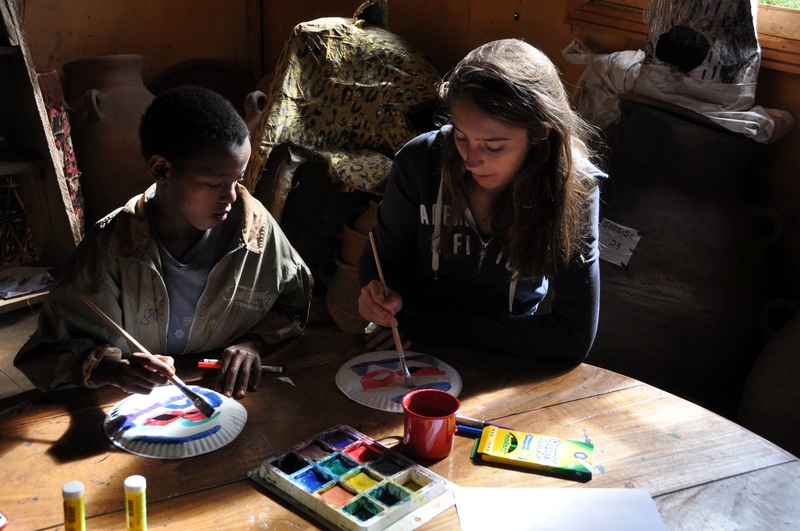 In September, ICS students in grades 10 and 12 had their Week Without Walls: grade 10 worked with a school in Awash this year (a new destination; last year they went to Lalibela and Gondar – you can read Alekka’s guest post about that trip here), while this year’s grade 12 went on a retreat at Negash Lodge near Woliso. Grades 9 and 11 got their turns last month. The grade 9 trip always has an environmental theme. The students go to the Bale mountains where they conduct various ecological experiments. Unfortunately this year that trip got rained out: after two relentlessly soggy days, the students returned to the city and went on a couple of local day trips to finish out the week. Grade 11 had better luck. Our own Alekka was of course on that expedition. Her class spent the week volunteering at the Common River project, a community development NGO based in the Rift Valley south of here. 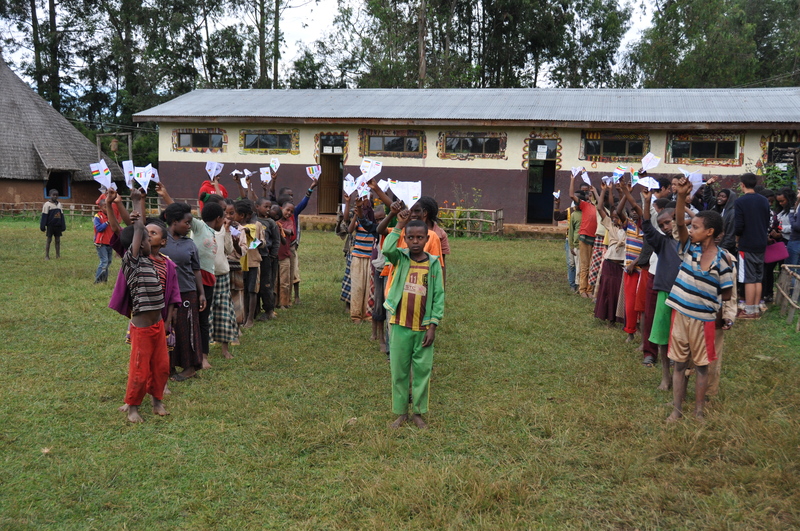 and they led a variety of outdoor physical activities for children and women. Alekka’s favorite service activity at Common River was the iPad class for adult women. Small children make her a little nervous; as the baby in our family by a wide margin, Alekka hasn’t had much opportunity to be around little kids. On this trip she loved working with the ladies. The ICS students brought iPads from school to use in the lesson. They sat down with one or two women at a time, showing them how to use the tablet to take photos and then how to arrange them creatively into a photo album. The women took pictures of their daily lives: their families, their friends, their kitchens, their cows. The iPads had to come back to Addis but the albums are being printed up and someone will take those to Common River to give to the women who participated. When not involved in the the service learning, ICS students were busy cooking the meals they’d planned in advance, washing dishes, meeting with an academic advisor about their future plans, doing a few leadership and teambuilding activities, and of course goofing around (but only a little). 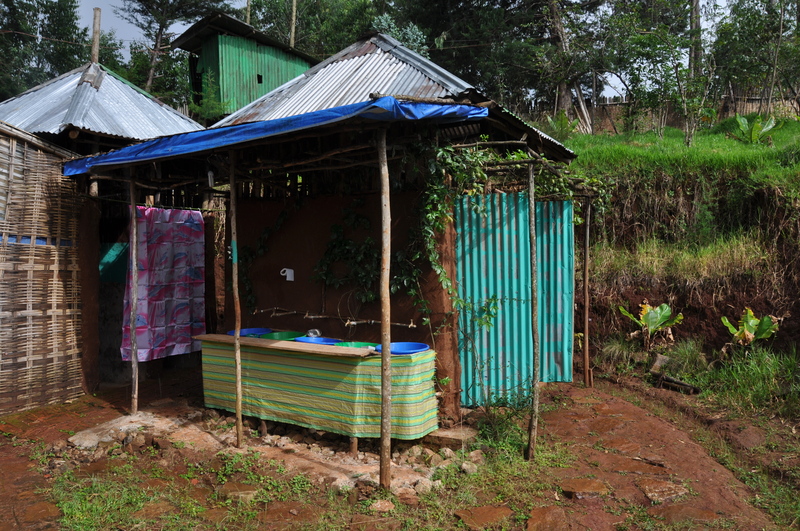 Not much in the way of plumbing, so no showers to take up their time! This entry was posted in Around Africa, Family, International Community School, Volunteering and tagged Alekka, Common River, community service, service learning, Week Without Walls. Bookmark the permalink.